Winston Churchill’s Webley automatic pistol Model 1913 needs to be saved from the hands of those who would desecrate this important historical artefact by “de-activating” it, in other words damaging it so it cannot be used any more. The pistol is to be auctioned “as is” without magazine but in “working order” by Bonhams at their Modern Sporting Guns auction in London, Knightsbridge, on Wednesday 2nd December 2015. The pistol is serial number 130104 and is offered with two supporting letters dated 1st and 30th September 1975 certifying that the pistol did belong to Sir Winston Churchill, signed by his grandson Winston Spencer-Churchill MP. 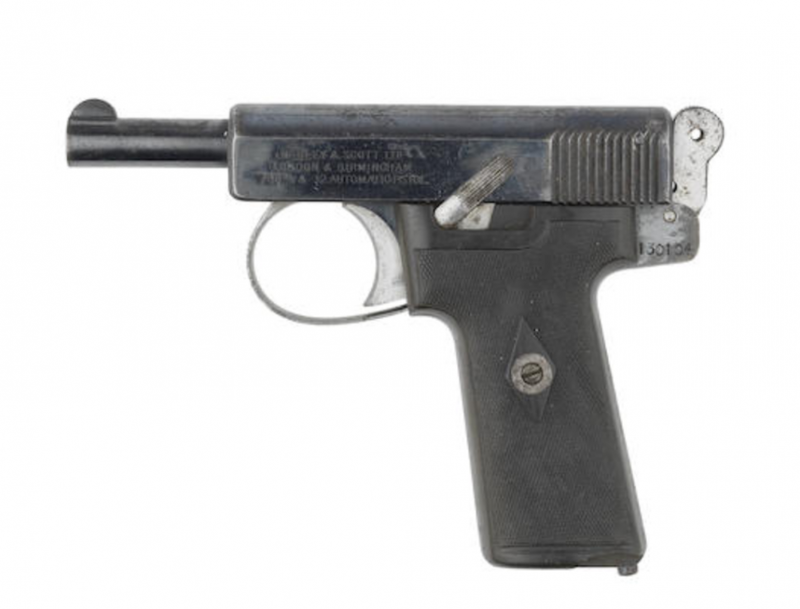 The pistol is provided with a third letter, from Kent Police dated 28th May 2015 certifying that Mr. Winston Spencer-Churchill owned .32 pistol serial number 130104 in a cardboard carton with Purdey storage label dated 7/1/65 and 17/9/70. This is a pistol that should be preserved in its historical working condition as I believe Sir Winston Churchill would have wanted and expected it would be. If you are in a position to save it the expected price is in the order of £2,000 – £3,000. In debate over the introduction of firearms laws many decades ago a younger Winston Churchill MP remarked “If people are to have guns then they belong in the hands of the friends of the government”. What will be needed to save this unique historic artefact is someone who is a friend of history, and of preserving the legacy of the greatest Briton of the Twentieth Century”. You will find the Bonhams auction page for this pistol if you click here.